I grew up with books. I realize not everyone can say that, so I know that I’m extremely lucky. My parents read to me every night, and though I have little memory from early childhood, I can recall rhyming along with my dad to Green Eggs and Ham. In fact, I still have part of that book memorized, something that’s become extremely useful nowadays as a mom myself. That’s all to say, no specific book made me a reader, however one stands out as being special in another way. When I was in fifth grade, I read Lois Lowry’s The Giver. After loving it beyond words could say (it was the first book I just didn’t completely understand, and that meant something! ), I had my librarian give me everything else by her. And that led me to A Summer to Die. The small novel follows Meg, whose biggest frustration is sharing a room with her older sister Molly after moving into a small house in the country. Molly starts changing, and that upsets Meg even more. Then Molly is rushed to the hospital. 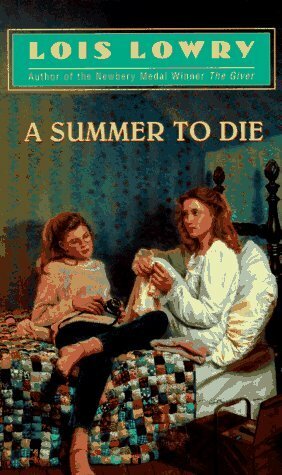 A Summer to Die was different than any other book I’d read. It wasn’t happy and perfect. Big problems weren’t solved by the end of a chapter. It showed that, sometimes, really awful things happen in life and there’s nothing you can do about it. That’s kind of tough for a 10-year-old to understand. And yet, I loved this book. It showed me the importance of siblings (I had an on-again-off-again friendship with my younger brother), the importance of family. A Summer to Die made me think about things I’d never thought of before, and appreciate everything. It was the first long book I’d read in a day, and I vividly remember sitting in the kitchen and embarrassingly wiping away tears. 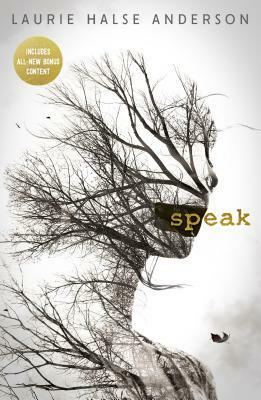 This was the first book that made me feel so much that I cried. After that, I read more sad books and happy books and adventure books and fantasy books and mysteries. I read everything. Because I wanted everything. And now, as a writer, I find myself wanting to explore these feelings I first felt back then–innocence and understanding. So, maybe the book didn’t turn me into a reader, but it definitely turned me into a better reader, and for that I’ll always love it. 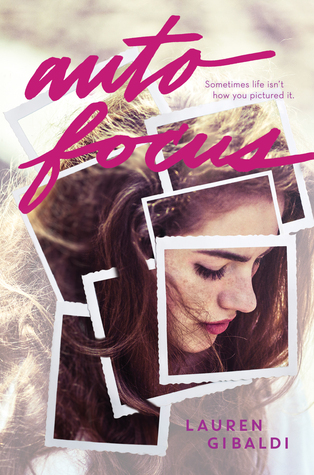 A signed (personalized) ARC of Lauren’s Autofocus (out June 14, 2016)! To enter, tweet (or retweet) the link to this “These Words Matter” contribution! Open to residents of Canada and the United States. Running from April 18-25, 2016. Lauren Gibaldi is a public librarian who's been, among other things, a magazine editor, high school English teacher, and bookseller. She lives in Orlando, Florida with her husband and daughter. Her books include The Night We Said Yes, Matt's Story, and her latest novel, Autofocus (out June 14, 2016).